Your body repairs itself while it sleeps. This includes your skin which is your largest organ. What you put on your skin at night will either help or hurt your skin. Before you sleep, give your skin the soothing nourishment it deserves with 1000 Roses Heavenly Night Cream from Andalou Naturals. 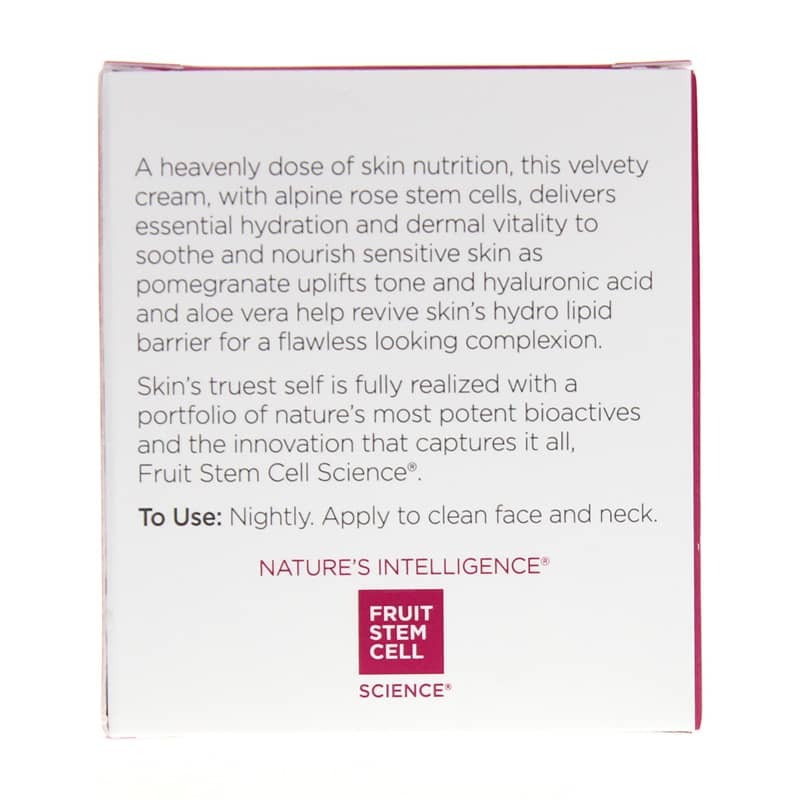 This velvety rich face cream is made with Alpine Rose Stem Cells, pomegranate, hyaluronic acid, BioActive 8 Berry Complex, and certified organic aloe vera. 1000 Roses Heavenly Night Cream is made for sensitive skin with the finest natural ingredients. You'll find no harsh toxic chemicals here! What can it do for you? 1000 Roses Heavenly Night Cream is made in the USA. 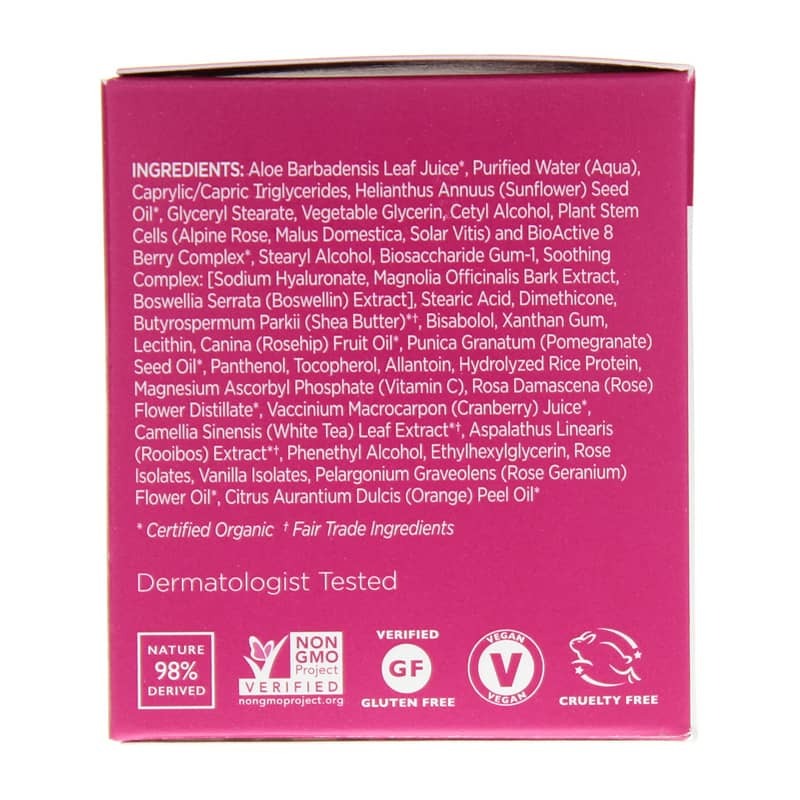 You may sleep better knowing it's free of any gluten, sulfates, GMOs or phthalates, and its vegan and cruelty free! If looking younger and staying healthy are important to you, don't neglect your skin. Give it the pure, soothing, and nourishing benefits of 1000 Roses Heavenly Night Cream. Order some today to help restore and renew your skin...And sweet dreams! Non-GMO verified, Gluten-free, Vegan and Cruelty-free. Nightly, apply to clean face and neck.